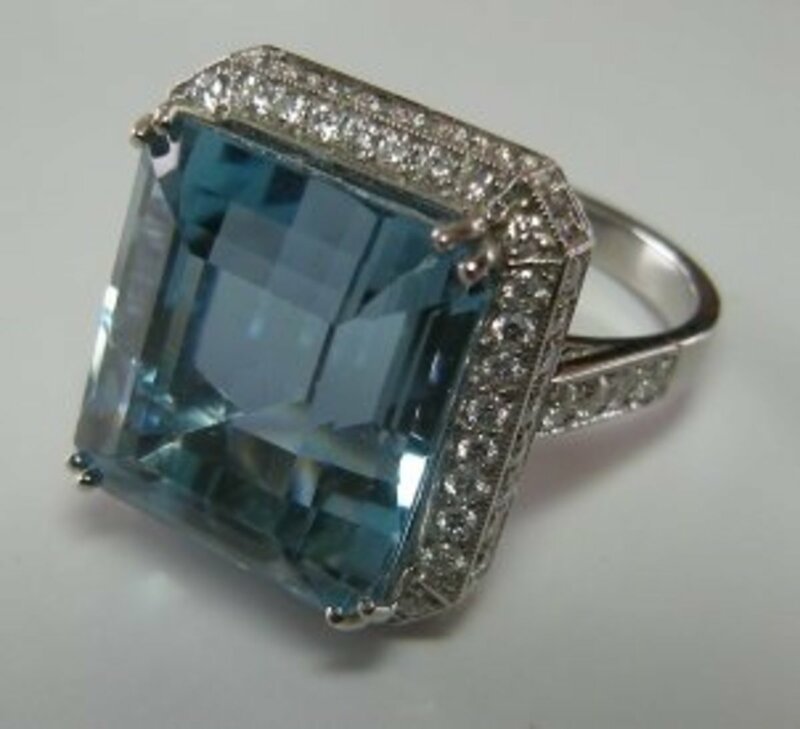 A fine Aquamarine ring. 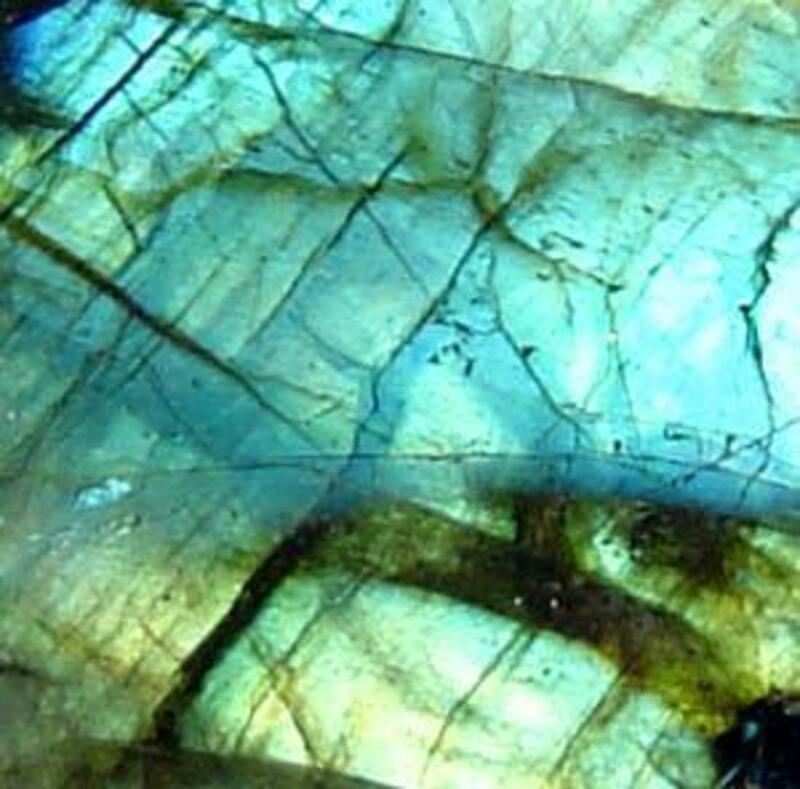 This gemstone gets more respect" across the Pond" in England and Western Europe. Unless you have a lot of money and a bona fide expert at your side, do not buy color gemstones as an investment. Putting a few hundred dollars or a few thousand, or even tens of thousands of dollars in 'over the counter' color gems is a bad idea. Years ago a Montana rancher sold his ranch for a small box of fully appraised gemstones. The ranch and the gemstones were each valued at over $1 million. When the rancher found out the cash value of that box of color gems was under one-fifth of the appraised value of the ranch, he tried to get his ranch back. The lawyer who told me this story said the rancher ultimately prevailed, after paying off a small herd of lawyers. The moral of this story: don’t confuse appraised value in the jewelry business with cash value. A Fancy Vivid Blue Oval Diamond. With rare exception, most color gemstones do not have much resale value. Important, well cut, undamaged, auction quality, LEGITIMATE certified rubies, emeralds and sapphires are the exception, as are a few rare collector examples of fine gems (and rare pearls!). But even important gems take time and a commission--to re-sell. There are some bogus companies who sell lousy color with impressive-looking certificates, though. Unless the certificate is from the Gemological Institute of America or New York's AGL, or Gueblin swallow hard. Do some investigating: fake "certs" are out there, too. The most valuable gems often have multiple certifications from different labs. Old certificates (except maybe those signed by Cap Beesley) need to be updated: in the last decade the gem industry has developed new ways to detect gem treatments,etc. If you're looking for an investment, read a few books, watch Suze Orman, go talk to a certified financial planner. Gems of any kind are not often a great "investment". When wisely purchased by the right buyer, gemstones can be a great hedge, though. No one can put a price tag on the joy that they are to behold. If you're looking for a gem asset with a potential quick turn, steer clear of color: diamonds hold their value much better than their softer, color gem cousins. And natural color diamonds? They are the only gemstone category that can truly be classified as an investment. Rare, certified natural fancy color diamonds should NOT be bought over the Internet, PERIOD. There is also a high threshold for investment-grade natural fancy color, and your gem broker should be skilled at the subtleties of evaluating natural color diamonds. I recently sold a pair of natural fancy pink diamonds for just under $200,000. A $20,000 budget won't buy much in this rarified arena. Think six figures, minimum. 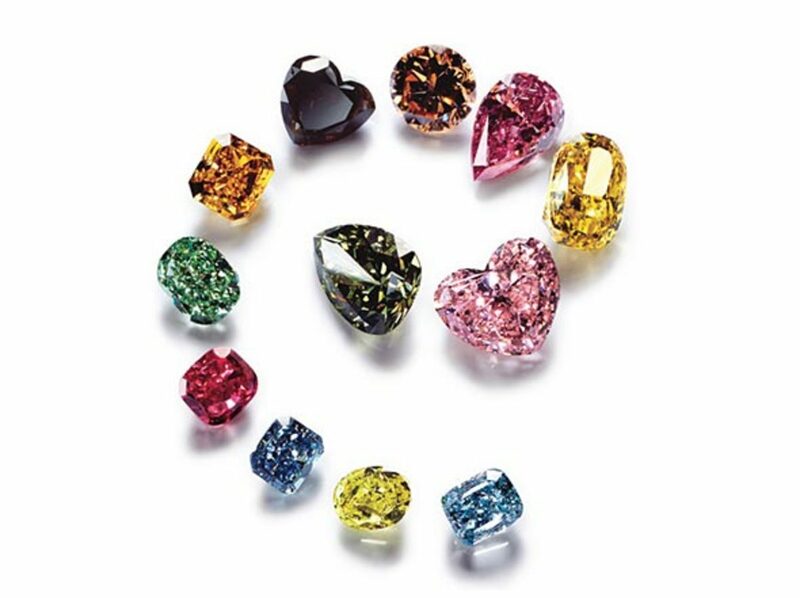 Color diamonds come in a rainbow of hues and intensities. Most jewelers do not buy color gemstones from individuals who walk in our doors or call us on the phone. There are treatments and simulations that are difficult to detect without expensive equipment and proper training. 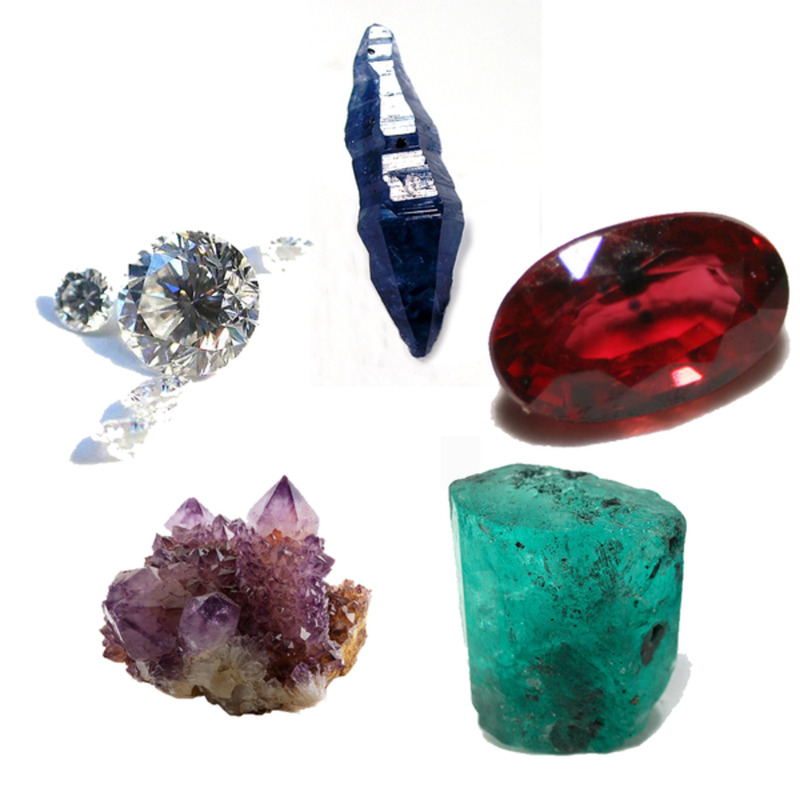 Did you know that synthetic gemstones have been on the market since the late 1800s? 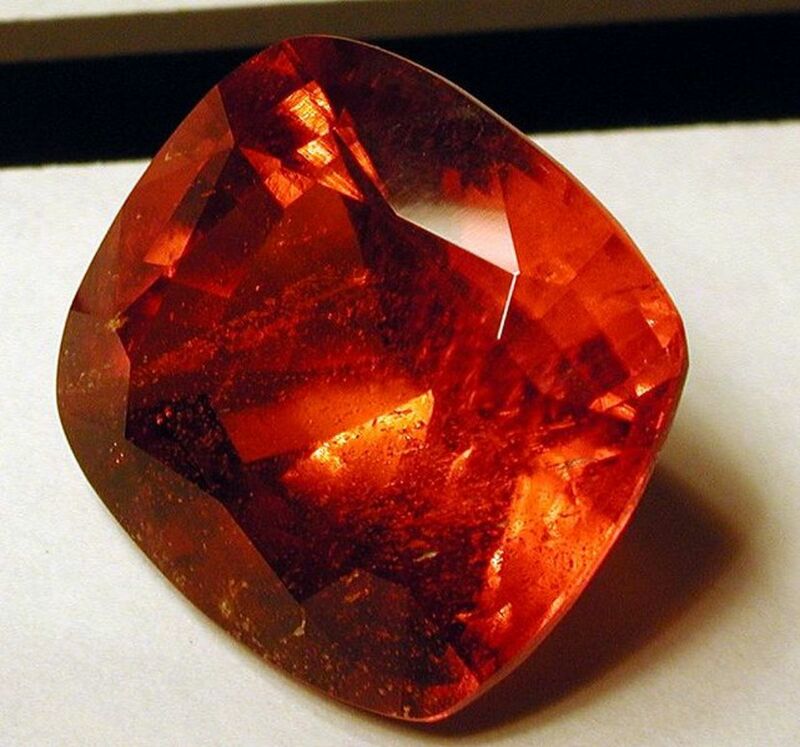 Unless your grandmother’s last name was Hearst, and she lived in a castle, that flawless ruby the size of your thumbnail–it’s synthetic (which means it may be chemically identical to the real McCoy, but it was cooked up in a lab). Most jewelry stores stock color gems, but they are displayed as an enticement. Sometimes, color gems are 'on loan' from cutters or importers: the jeweler doesn't want to sink her own money into color gems, either! Because jewelers tend to own specific color gems for a long time without selling them, it’s not unusual to see a 500% markup on small color gems. That’s why I don’t stock any color except Montana's own Yogo Sapphires (which sell like hotcakes around these here parts). Instead of having to mark something up to justify my owning it for years and years, I’ll borrow the color gems my clients request, earn a small commission and send back what doesn’t sell. 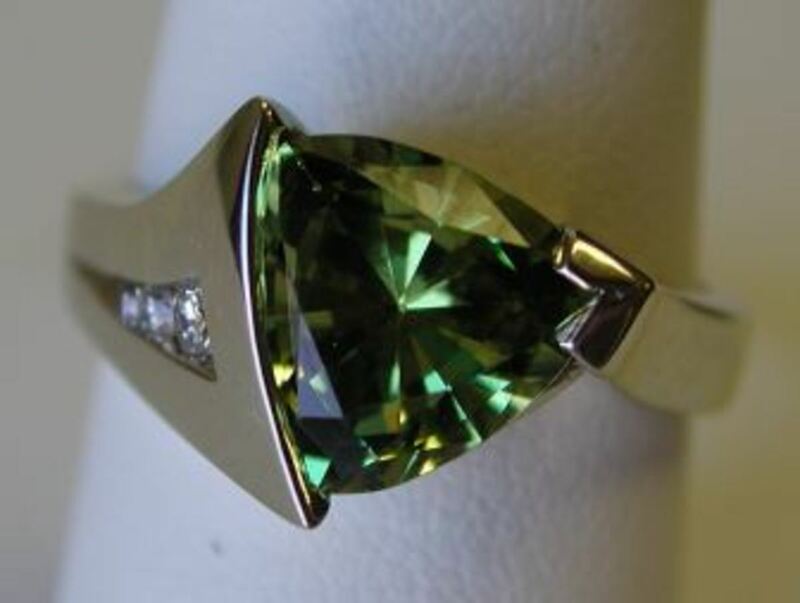 A Fancy Green Garnet: beautiful, but not a great investment. Buy Tanzanite in Oregon? Montana? Because jewelers can borrow color gems, there’s little incentive for us to buy! I can borrow five (or fifty!) tanzanites on my desk by tomorrow morning. You want one, fine. I'll send the rest back. I visited India a few years ago, and I visited some of the rug-makers in Agra. They were asking for more money for their rugs right there, where they were being made, than the folks were asking at ABC Home in New York City. Same goes with gemstones: TOURISTS BEWARE. Especially if you are on a cruise, and someone tries to sell you tanzanite, telling you that because there is only one mine, it's rare. Yep, there's only a single deposit, but it's huge, and we are not running out anytime soon. 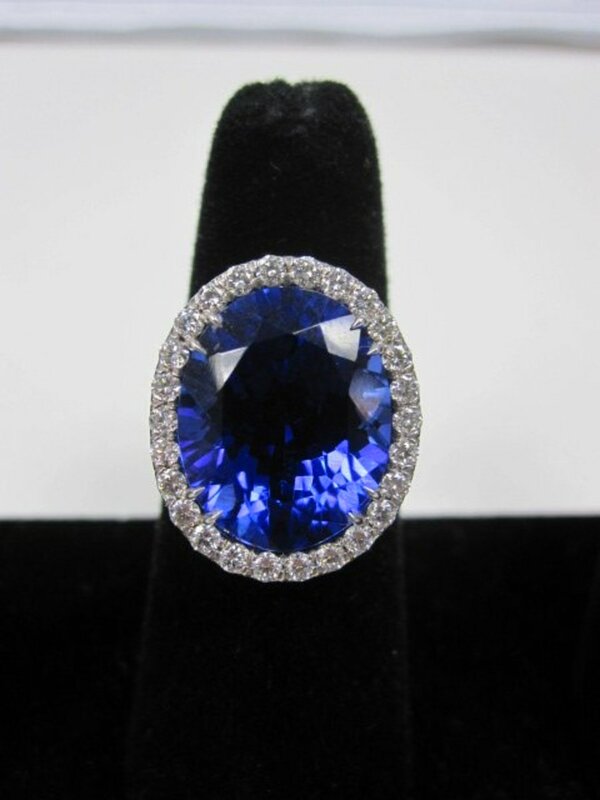 On eBay on November 2, 2012, there were over 60,000 tanzanites listed. The only people who are screaming "we are running out of tanzanite are people who are trying to sell them." Like me, your local wholesaler may be able to sell Tanzanite for less than you'd pay in Tanzania, and Tahitian pearls for less than you’d pay in Tahiti. 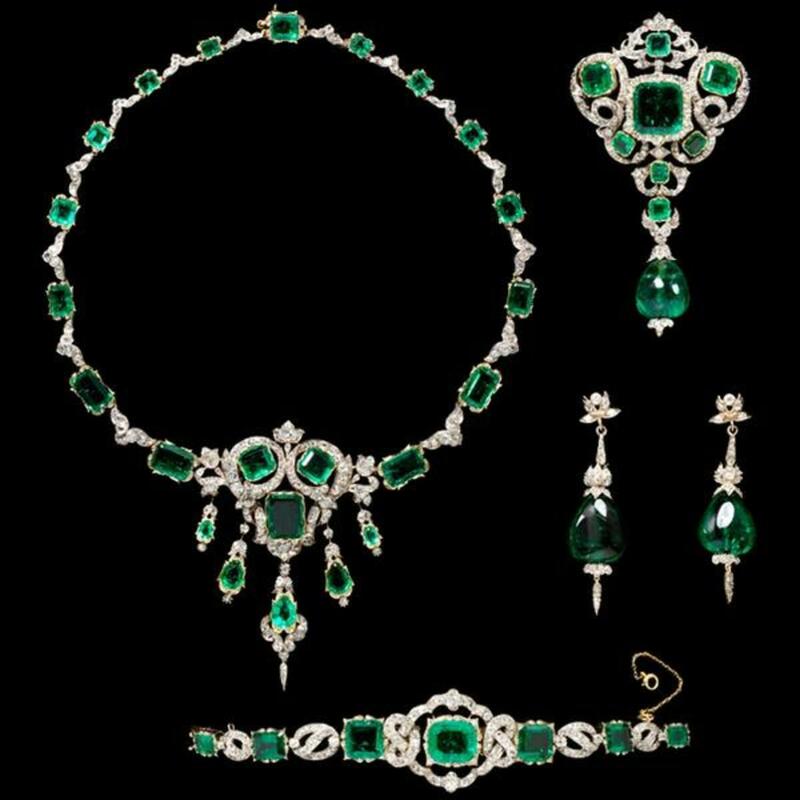 The same goes for Colombian emeralds, etc. PLUS YOU WILL HAVE RECOURSE IF YOU HAVE AN ISSUE OR QUESTION. BUY A GEMSTONE ON A BOAT, AND YOU COULD BE SUNK. A Large Tanzanite RIng. Careful! Tanzanite is notoriously brittle. Buy color because you love it. Buy color because it talks to your Soul, because you can’t resist eye candy. Don’t buy color hoping to recover a fraction of what you paid. Please don’t buy gems on TV. TV jewelry sales have huge markups, huge overhead and they sell gems that often have hidden flaws. Jewelry TV has been successfully sued several times over blatant misrepresentation, most recently regarding a gemstone called Andesine. I’ve been offered gemstones purchased from TV shopping channels. Many times it doesn’t even make sense to spend more money to set these gemstones into wearable jewelry. There are some semi-precious gems that are sold by the truckload. Consumers should watch out for small gemstones that are so plentiful they are mined by a backhoe. A huge percentage of the value of many quartz-based gemstones is in the cost of labor, cutting, shipping, and taxes. Tiny chunks of pale amethyst, citrine, smoky quartz, treated blue topaz, etc. have very little to no cash value. If you would like to buy a significant color gemstone, find someone who is happy to do it at a small commission. If you are spending over $10K, I wouldn't be afraid to ask to see the "memo" to the jeweler, and offer a commission, depending on how much work the jeweler has had to do to get the gems in for you, educate you, etc. If, on the other hand, you have a color gemstone for sale, unless you have a fully certified, undamaged, significant gem, your best bet to get anything close to what you paid for it is to find someone you know who might purchase it from you directly. If you don’t believe me, ask a jeweler what THEY’LL PAY for a gem you pull out of your pocket. Don’t let the retailer tell you “what it’s worth” for some other jeweler. Ask politely for them to make an offer. Me, in the Jewelry Studio. "DId I get a good deal?" Owning a jewelry store is expensive. Inventory is costly, insurance is a big expense. Rent, salaries, shrinkage, advertising: they all cut into our bottom line. Being a jeweler is not a “get rich quick" scheme. Most of us are honest hard working folks who love what we do, and make a fair profit. People often asked if I'd inspect their color gemstone purchase, tell them the history and proper care of gems they bought elsewhere and reassure them that they got "a good deal." LIke most people who own a small business, I don't have time to offer my services at no charge, and I feel bad when the answer is "No." Please don't ask your local jeweler to review purchases you bought from another store (or on TV). I always tell my customers to have fun, and to buy 'fun' jewelry if they want, when they are on vacation, etc. But don't spend more than a few hundred bucks on a cruise ship, please. Don't be fooled by high prices that are drastically marked down. If you happen to be watching TV or trolling the 'net and you think you'll make a profit by reselling the "valuable precious gems" you buy to jewelry stores, there's this bridge in Brooklyn....I hear it's for sale. Finally, don't get fooled by some "government liquidation auction" or "seized asset auction." A friend recently purchased a large, FULLY CERTIFIED "black diamond" that looked mighty suspicious to me. Sure enough, despite the official paperwork, it was not a diamond at all. It was a moissanite. Sometimes people ask, because no jeweler seems to want them, if they can sell their unwanted color gemstones themselves. Of course. Give it a whirl...but don't get your hopes up. As a service to my clients, I've posted a few tips about selling jewelry on HubPages. Check out my other blog posts for re-sale tips. If a ruby is set in a Tiffany ring, does that mean it's a quality ruby? It’s a bad answer, but maybe. Tiffany & Co. is very particular about quality, but sadly, I’ve seen more than my share of fake hallmark “Tiffany & Co.” rings. Also, the ruby could have been replaced or damaged. Even the hallmark on a Tiffany & Co ring is perfect. My 2 CT Tanzanite has scratches on the top of the stone. Can a jeweler polish them out? A jeweler can't, but a cutter can often polish tanzanite. It's tough--sometimes impossible--to do if the stone is mounted, without further endangering the gem. Tanzanite is notoriously soft. If you have a good sized one, and you need to take it out of a ring to get it polished, consider remounting it into a pendant, where it's less likely to be damaged in the future. I was given a garnet stone straight from a mine in Arizona. Is it worth anything? I'm not familiar with Arizona garnet. You'll have to approach someone who is...do a little online research first. Log onto eBay. Go to "Advanced" search and search for SOLD items (what people recently paid) for Arizona garnet. That should give you an idea. I bought a tanzanite right no frm a tv station and I swear it's a different colour as to when I bought it. It's now a dirty looking lilac colour. My granddaughter was left 2 boxes of loose gemstones if they are not worth anything what would be your advice she could do with them??? A jeweler would only have to adjust for inflation if the inventory item laid in the cases, gathering dust, for far too long. Unfortunately, the "turn" on color gems is so slow that I wouldn't be surprised if some jewelers (or for you Londoners, 'jewellers') took this into consideration. Regarding specific examples: all I will fess up to is buying color at wholesale and seeing it marked up 500% at retail outlets. The profit margin should be inversely proportionate to 'turn' (the period between buying the gem and selling it) and is also linked to the cost of the inventory item. Cheap stuff can carry a heavier margin. You can't 5X a $5000 Madagascar ruby, but you can 5X a moonstone that wholesales for $15...If a jeweler is going to display something for YEARS before selling it, (s)he deserves the profit margin (and a stern lesson from David Geller on GMROI). does this supposed 500% mark-up account for inflation? What examples to do you have of this? I personally love colored gems. But I never buy any piece of jewelry, or any loose stone as an investment. To me it's like buying a new car... The minute you drive it off the lot, it has lost value! I buy colored gems, and colored gem jewelry for variety, and because they're fun. I like making jewelry, and looking at jewelry, almost as much as wearing it. I have found that buying used colored gem jewelry is a great way to get a good price. (Like you said, the resale value is always low.) And to be honest I have bought gem stones on line. For example, I bought a HUGE 123 karat sapphire online,from India, knowing it would be very poor quality. But it was dirt cheap, and makes a very interesting paper weight!